Sometimes you need to add lots of text to give context to your ideas – different specs, documentation or why not capture meeting notes. For this, separate notes work the best. Long text notes live in the right sidebar in Deekit so that you can edit content on the whiteboard and in your notes at the same time. 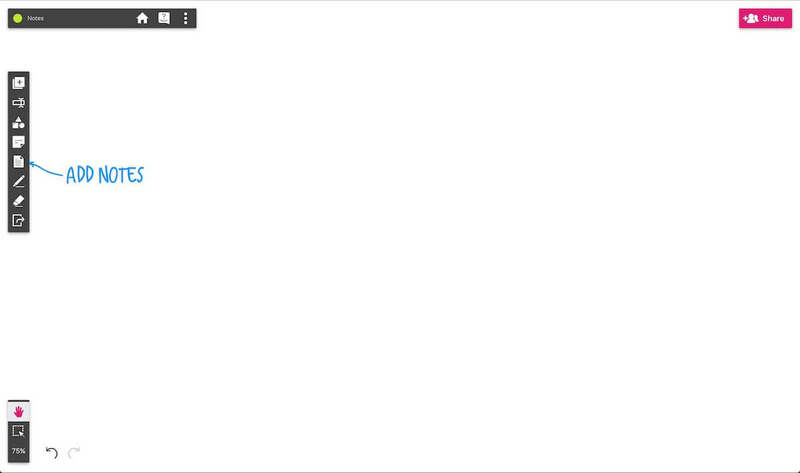 And of course for each note you can add a preview link(s) to the whiteboard, too. Start writing your note. You can use the simple editor to format your note content. Close the sidebar (Esc) or press “Done” once you are finished. Each note will have a note box on canvas. 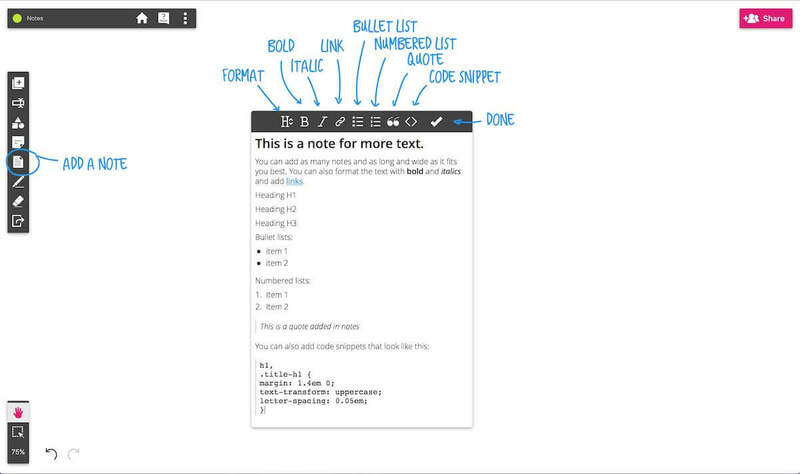 We’ve kept the editor nicely on the side so you can browse and pan around the board while editing your notes. We have what-you-see-is-what-you-get editor in Deekit – you can customize the heading size, add links, lists, blockquotes and code snippets in Deekit. 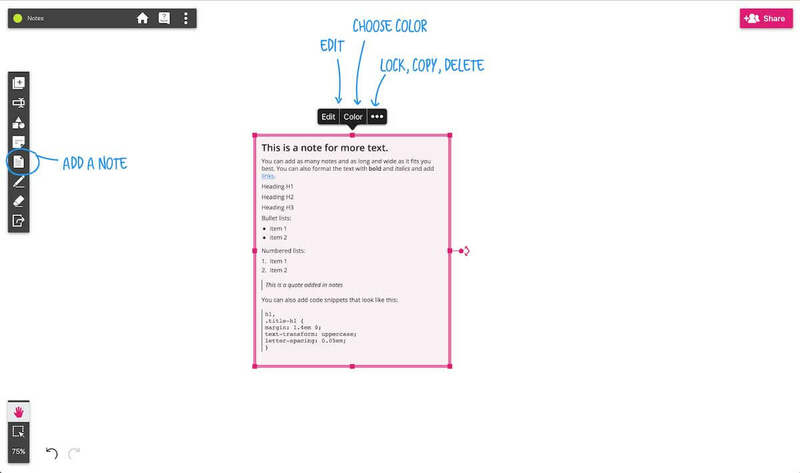 But you can add also markdown in the editor.